Warehousing > Ground Transport | Triways warehousing services located in California. Triways warehousing and distribution services are regularly audited and analyzed to ensure that it meets the contemporary business models, and any and all upgrades are made to ensure our services continue to help our clients meet their logistic requirements efficiently. Our logistics team have years of experience in this business and can handle long term and large scale assignments with utter professionalism, and our customer service helps the clients to stay in the loop throughout the process, whenever they require any assistance. Consult with our experts today for your logistics, warehousing and distribution services requirements, and allow us to make a positive difference in your business. Triways is a full service, integrated warehousing services provider in Southern California Located 8 miles from Ontario Airport, and close to the Pomona (I-60), San Bernardino (I-10), and San Diego (I-15) Freeways. Southern California is an enormous market for logistics services. Not only is there a large population base, but there’s also a significant amount of incoming freight from overseas into nearby ports. And as you could imagine, there are a large number of warehouses in the greater Los Angeles area. So how do you choose with warehouse is the right partner for your business? The simple truth is that most warehouses make too many mistakes. And the companies that do a good job offer pricing that is usually too expensive for your budget. This is what sets Triways apart from the rest. Not only do we operate at the highest of levels in terms of quality, accurate, on-time shipments, but we also offer warehousing and shipping rates that are second to none. And on top of all of this, Triways is an integrated carrier, offer all of the services you need under one roof. We own a fleet of trucks, so we can control the service and costs. Moreover, Triways supply chain management experts would design a logistic process especially for you to align with your business in an integrated fashion. Our warehousing services, includes a wide range of services that includes inventory control and management, load building, yard management, static and dynamic replenishment, kitting, order processing, vendor performance, cross docking, supply chain management, logistic integration, bar coding, quality control, labelling, carrier performance, and so on. FDA Food Grade Warehousing & ABC-616-NR a licensed public warehouse for importation, storage and distribution of beer and wine. Triways also offers FDA approved Food Grade Warehousing and California State approved. If your company needs more specialized services, we can help! Triways is a full scale 3PL (Third Party Logistics) provider based out of the popular southern California market. 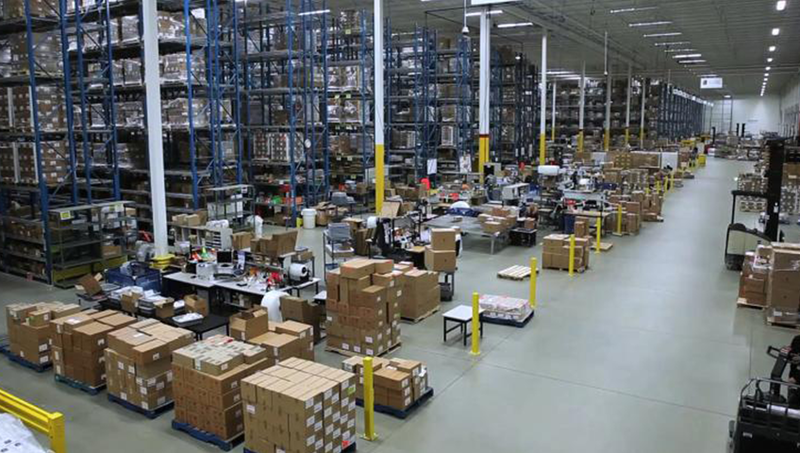 In addition to operating its own fleet for transportation integration and cost savings, the company is focused on warehousing services, e-commerce fulfillment, and pick and pack services. Triways always places the customer at the forefront, striving to perform at an unsurpassed level within the 3PL industry. Made with love by Happy Planners Digital Agency. Copyright © 2016–Triways. All rights reserved.